Devon's premier holiday park at Sandy Bay! Devon Cliffs Holiday Park is probably one of the best caravan sites in Devon. 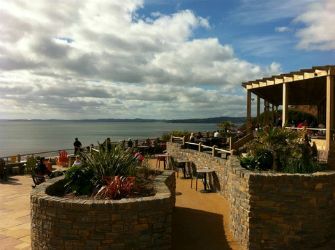 Devon Cliffs Holiday Park has its own sandy beach with an easy to reach sloped access from the holiday park. Sandy Bay is part of the 'Adopt a Beach Scheme' which is run by The Marine Conservation Society. This is an ideal beach for all the family. Children can build sand castles, explore the rock pools and splash about whilst adults can simply relax and enjoy the sun and sea views. Water Fun - The park has many water fun activities from learning to swim to exploring the under water world with powered AquJets. Water Fun is not restricted to just children either, adults will have just as much fun. Pools are located both indoors and outdoors. There is a Spa to relax in or water slide to have fun on. What ever your age, you will enjoy yourself at Devon Cliffs. Easy access to a lovely sandy beach and close to all the parks amenities. The caravan is located in the quieter area of the site. Devon Cliffs Holiday Park - On South Devon's Coastline If you want to experience a premier Holiday Park, then look no further. Situated at Karo Place, a quiet area which is only 2 minutes from the beach, and only 5 minutes from all the entertainments & facilities. We have some lovely sea views and there is a new park just down from us, as well as the new south beach café being within a 1 minute walk. Parking is available next to the caravan and just down from us there is a large car park, very beneficial if bringing more than one car. While the caravan benefits from being very close to the marvelous south beach café there is very little noise as we are far enough away from the main complex not to suffer from the noise. Loads of entertainment available on site, bars/takeaways/shops etc,(please see haven website for details) you will need fun passes for some of the entertainment, passes ARE NOT INCLUDED in all prices. If they are required please ask. To ensure the caravan is ready for your arrival we use a highly rated private cleaning firm. 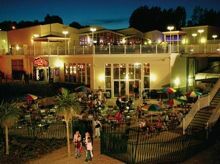 Devon Cliffs all action Holiday Park is located in Sandy Bay just outside the small town of Exmouth in the South West of England. The park is approximately a 20 minute drive south of Exeter, leaving the M5 motorway at junction 30. The site can also be easily accessed by Rail or Coach. No matter what the weather there is always something to do for the whole family on the park with indoor and outdoor activities running throughout the day. Whether it’s a short or long break you are after please don’t hesitate to contact us for any information you may require. Deposit / Balance scheme is available. Contact us for more info. New - Beach Comber bar and restaurant. The living area is open plan and has lots of floor space which is great for little ones. There is a lot of storage which helps keep clutter to a minimum. An additional double bed in the form of a sofa bed is hidden underneath the vast L shaped seating area. The Lounge/Dining area includes ‘L’ shaped seating. A combined entertainment/fire/storage unit complements the living space. 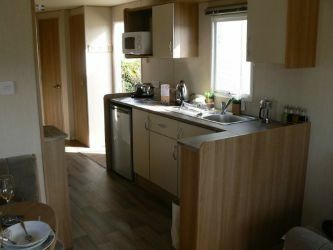 The kitchen has everything that you will need, eating utensils, drinking utensils including mugs and pint glasses, cooking utensils including pots and pans and a frying pan. The kitchen also has lots of storage for food etc. The galley style kitchen is both practical and effective with modern wood grain units and generous storage. 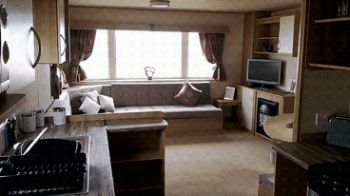 The caravan consists of 3 bedrooms. The double bedroom has small bedside tables, over the bed shelving units, a wardrobe and a double bed. Both twin rooms have a storage cupboard and above the bed shelving. The single beds can comfortably fit an adult. In one of the twin rooms the beds can be pushed together to form a double bed. The bathroom is a very spacious and contains a shower cubicle with bi-fold glass door, thermostatic mixer with hose and shower head. There’s also a separate washroom. Handy towel shelves. * Adult and Children's books. *A folder with information on places to go including entertainment schedules and the numbers for local takeaways. * Tin opener and other additional utensils for cooking. * Children's puzzles and games for rainy days. * Table mats and coasters. * Additional decor to enhance the homely atmosphere. booking direct with Haven where alloacation is on arrival.
. Prices do not include the Park Entertainment Passes. Some of the photos are representative of the caravan. Checkout the Exmouth Seafront Webcam - The first coastal webcam in Exmouth founded at the start of 2004, enjoyed by thousands of people worldwide as well as local Exmouth residents. Devon is a prime location for a holiday in the UK, Break away from it all and come see the delights that Exmouth, in Devon, has to offer. World of Country Life - A fantastic attraction right next to the park. With Adventure playgrounds, Crazy Golf and Pet Centre. Whilst exploring the 40 acres of land you can see Transport and Agricultural Machinery from past years. Crealy Adventure Park - Enjoy action on the Go- Karts or adventure on the Pirate Ship and have fun feeding and stroking many animals. With Picnic Meadows, Nature trails and the Prairie Train you get to discover the beautiful countryside. Digger Land - Diggerland is the ultimate adventure park for all ages, where you can ride, drive and operate full size construction machinery. Fasten your seat belts and get spun, shaken and elevated on the crazy ‘Spin Dizzy’. Hold on tight whilst we elevate you to a height of over 50 feet on the ‘Sky Shuttle’. Bicton Park Botanical Gardens - Offers 60 acres of beautifully kept gardens and water features. There is plenty for the children with a miniature village, crazy golf and a large indoor play area. Fun for all the family. Quad World - If you enjoy thrills and adventure, you will enjoy all- terrain off road Quad Bike racing at Quad World. The bikes are easy for beginners and you will be provided with all protective clothing and helmets. Powderham Castle - Built over 600 years ago, Powderham castle has a unique atmosphere, combining beauty, tranquility and history, which those who visit the Castle, for whatever reason, will remember for a long time afterwards, and sometimes for the rest of their lives. Enjoy a guided tour of the magnificent staterooms, stroll around the beautiful parkland and appreciate the stunning views across the Exe estuary and deerpark. Ride the miniature train to the Smithy and visit the friendly animals in the Secret Garden. Cricket St Thomas - Is home to a fantastic Wildlife park which helps protect the world’s species. With plenty of informative shows and family attractions such as the Pets Corner and Farmyard and miniature railway. Beer Quarry Caves - 2,000 years of history brought vividly to life a visit to Beer Quarry Caves is an exciting and fascinating experience not to be missed. Quaywest Water Park - Devon’s Premier water park Quaywest located in Paignton Devon. Stuart Line Cruises - Discover the History, Beauty and Wildlife of the Devon Coast on one of the best boat trips in Devon. Pecorama Model Railway - One of Devon’s leading visitor attractions located high on the hillside above the picturesque fishing village of Beer , PECORAMA is home to the famous PECO Model Railway Exhibition and the Beer Heights Light Railway. The Exhibition hall displays wonderful detailed layouts in many different scales, some with push button controls enabling children to operate the trains. Exmouth Town - Exmouth is well celebrated for its long two-miles of golden sand, rare on this coast and fascinating rock pools it's a paradise for children and adults alike. On the Estuary of the River Exe internationally known for its wildlife. Budleigh Salterton - Situated in the East Devon Area of Outstanding Natural Beauty (AONB), on the coast of Glorious East Devon, the spectacular red cliffs of Budleigh and neighbouring Exmouth form the majestic beginning of the Jurassic Coast. Exeter City - Exeter is the capital city of Devon. It is situated on the River Exe in the county of Devonshire. Full of character and ancient history, Exeter is still able to offer all the amenities and comforts that would be expected of a modern day city. Sidmouth Town - Beautiful gardens and leisurely walks, regency history and fine hotels, clean beaches and friendly shops.... it's all here in this lovely seaside town that nestles beneath majestic red cliffs and the green hills of the glorious Sid Valley. Babbacombe Model Village - Enter a world of miniature marvels! Visit the English countryside in 1/12th scale including models of famous landmarks. New features include the 'Babbacombe Junction' model railway exhibition and 'Behind the Scenes' an audio-visual presentation of the history and making of the park. Over 400 models including many working/moving displays, 13,000 miniature people, humorous scenes and 10,000 tiny bulbs for summer evening illuminations have helped make Babbacomble model village one of Devon's best loved attractions. Paignton Zoo - Paignton Zoo is home to thousands of amazing animals and plants. Visit the desert, cross the savannah, explore the forest and trek through the tropics. Use your senses to discover the wild world: look around, listen out - you’ll even need your sense of smell! It’s a great day out for everyone. Woodlands Leisure Park - Woodlands Family Theme Park Devon provides a whole day of variety for all ages. One inclusive admission price to the family attraction includes incredible indoor centres, outdoor adventures, Zoo, Big Fun Farm and Falconry Centre. We have two caravans on the Devon Cliffs site, so if it is a large family booking why not book both, they are right next door to each other for your convenience.
" The caravan is beautiful. Will definitely book through you again" Lisa. 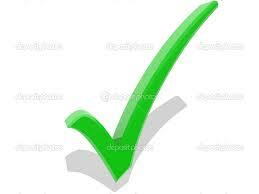 Hi just wanted to email you to say thank you for renting your lovely caravan to us. We all had a very enjoyable stay and we will definitely be emailing you in the near future to see the availability to rent it again. many thanks Amy. Want to see where our caravans are?. 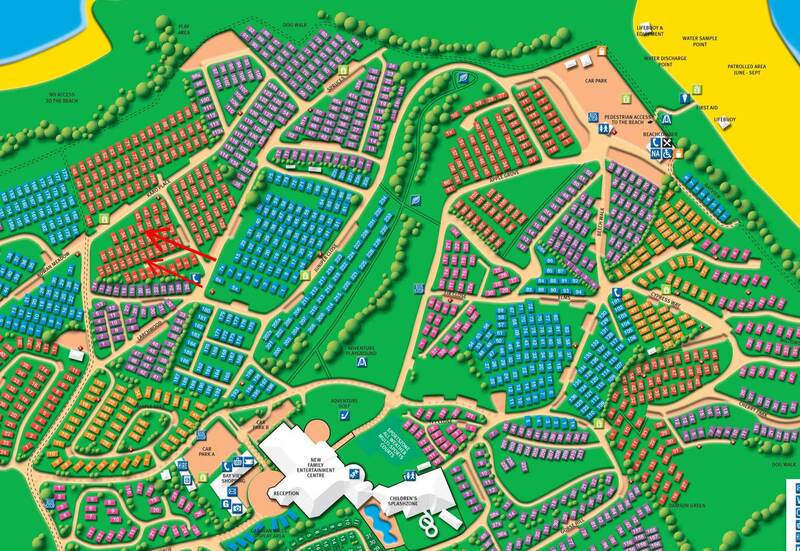 Please click the link below for a map of the site showing where the caravans are placed. Here is a video of what the park has to offer. Devon Cliffs is Havens flagship site.